Diorama Debris silicone rubber moulds for military modellers. 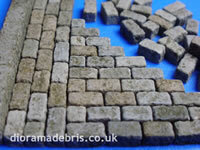 1:35 Scale Moulds for Roads, Paving and Floors. Is there a new mould that you would like to see in the future? Please submit your requests to: info@dioramadebris.co.uk. All prices shown include VAT. The VAT is removed at check out for non EU orders. 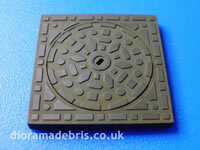 1:35 Scale French Manhole Mould with square frame. 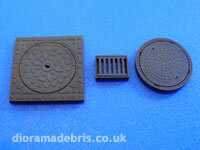 A selection of new 1:24 scale moulds for roads. 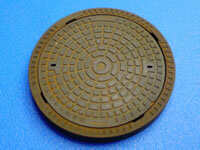 Moulds for Setts (cobblestones), curbstones, paving slabs, drain grates and manhole cover. 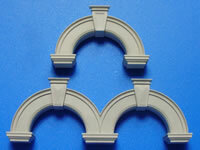 1:35 Scale Cut-Out Wall Sections Mould for the Victorian Terrace Arches. 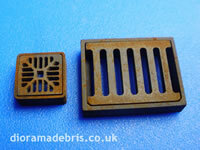 Dioram Debris silicone rubber moulds for military modellers. Cast you own 1:35 scale building supplies. Scratch build roads and walls. 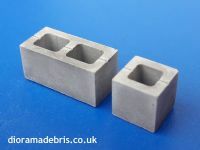 Cast bricks for rubble and tiles for roofs. Check out tips and guides for a walkthrough on making this building. *Please note: the photos on this site are of scale models (unless stated otherwise). 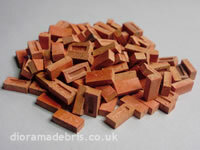 Diorama Debris is a range of silicone rubber moulds that you use to cast your own 1:16, 1:24, 1:35 and 1:48 scale building supplies, from the humble scale brick to interlocking scale wall sections, from scale sheets of wall plaster to scale slate roof tiles. Whatever you current skill level the parts cast with these moulds will help you create photo realist rubble, ruins and roads. The best part is that once you have purchased the moulds all you need is plaster. Plaster being relatively cheap means you can make as many plaster castings as you want. 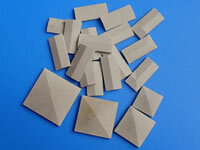 Having all these scale building supplies will allow you to experiment. You will be amazed at what you can achieve.